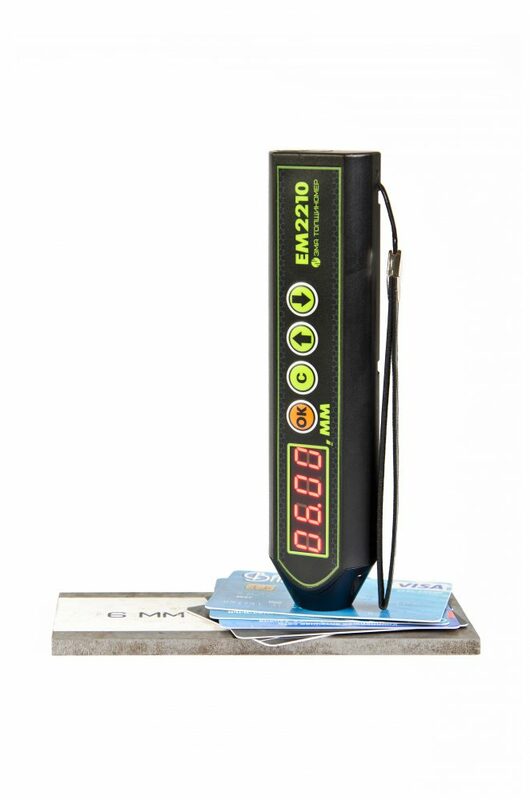 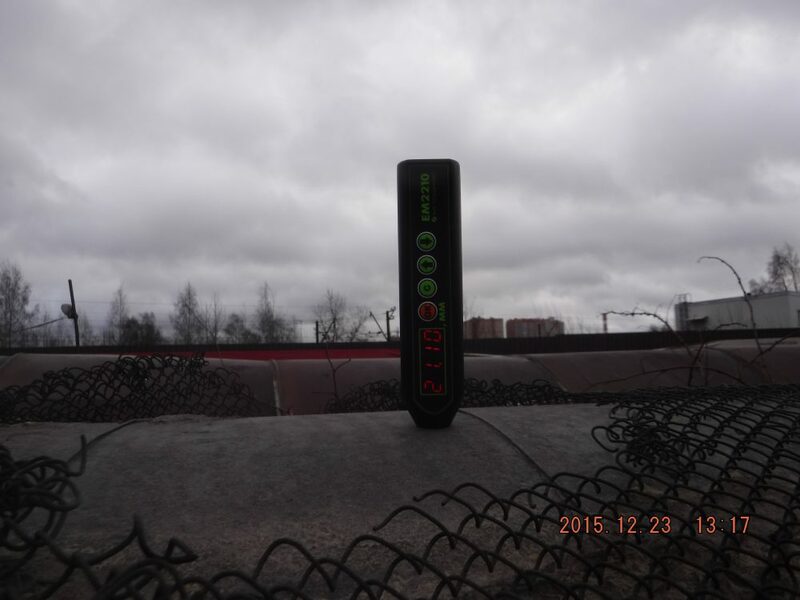 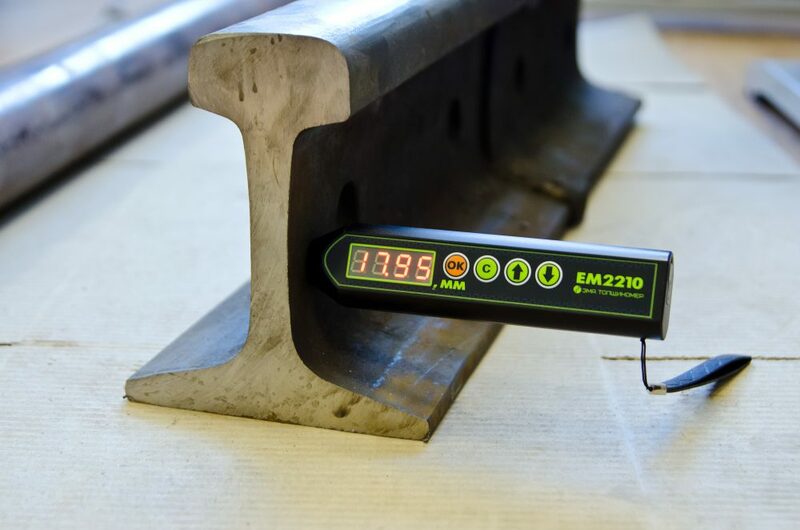 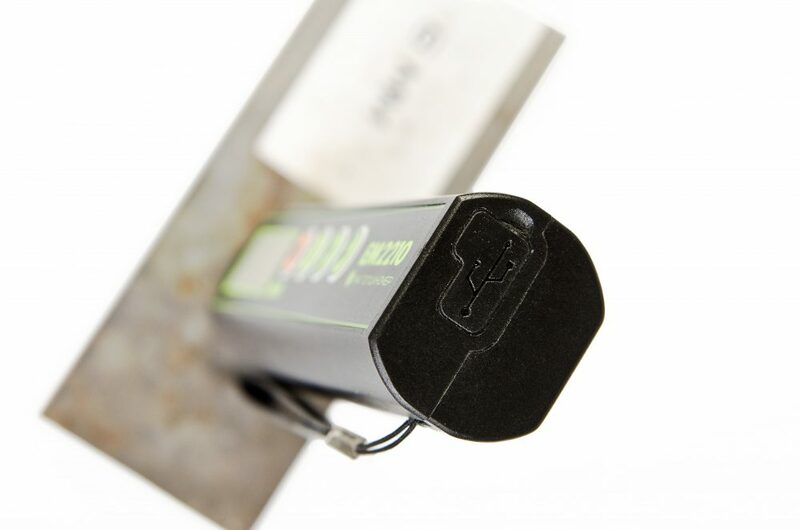 EM2210 non-contact thickness gauge measures thickness of steel pipes, flat steel, rods and other steel constructions, together with constructions made of aluminium and other metals. 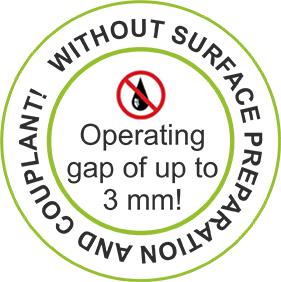 Measurements can be taken without usage of couplant, without advance surface preparation and across the operating gap between the transducer and the test object of up to 3 mm. 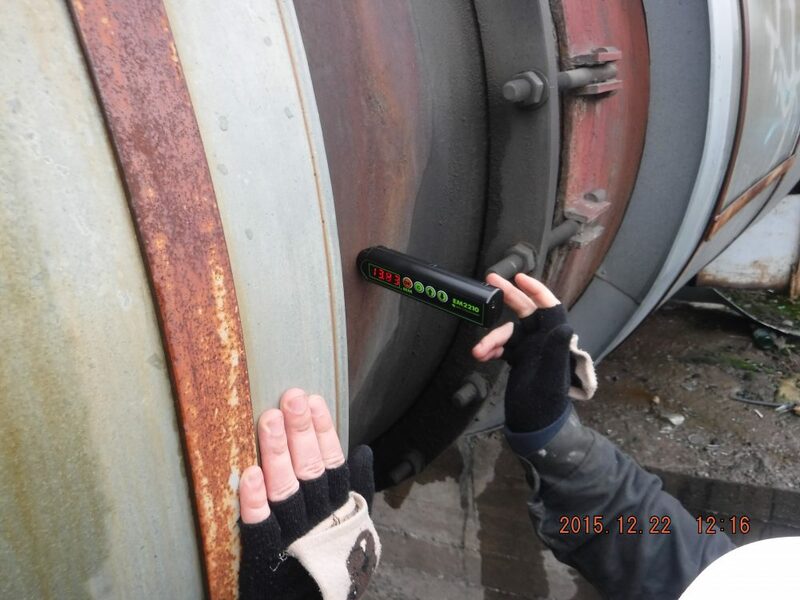 Rust film, salt deposits or any other insulating coat (paint, varnish, enamel, plastic etc.) 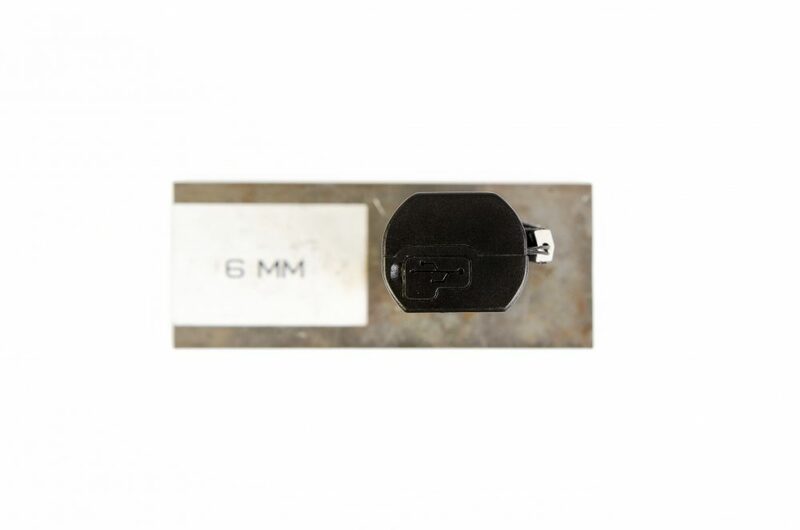 can serve as an operating gap. 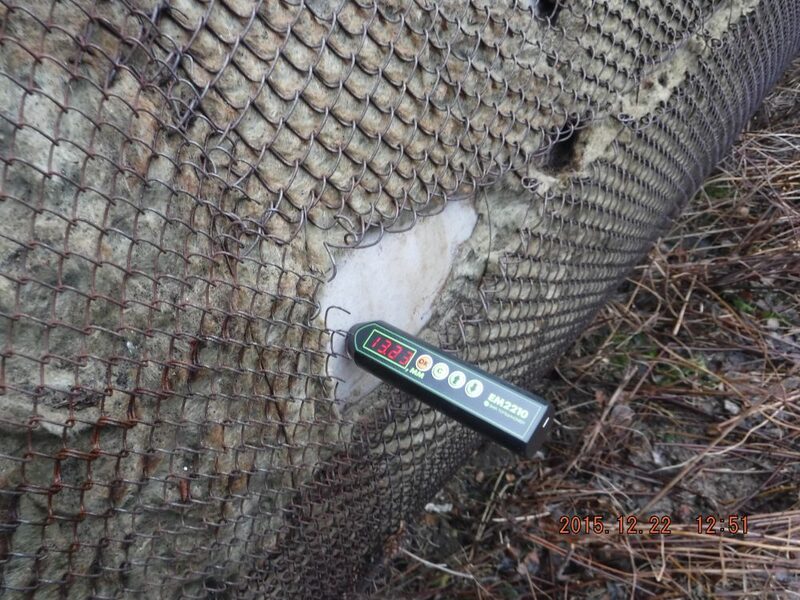 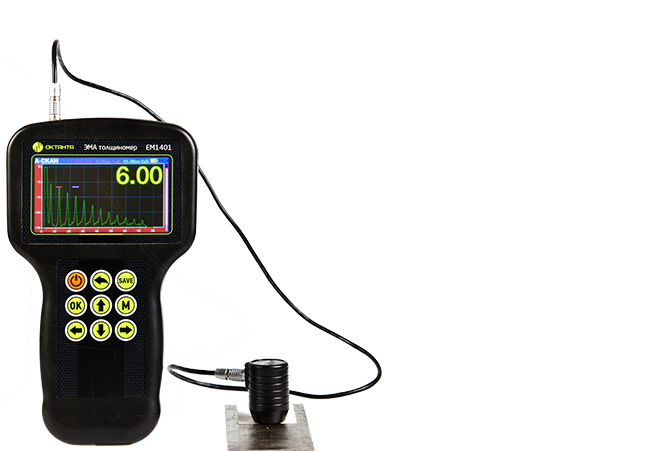 Test indications are slightly dependable on the skew of the transducer, unlike tradition thickness gauges with piezoelectric converters, which require fixating transducer at the specific position. 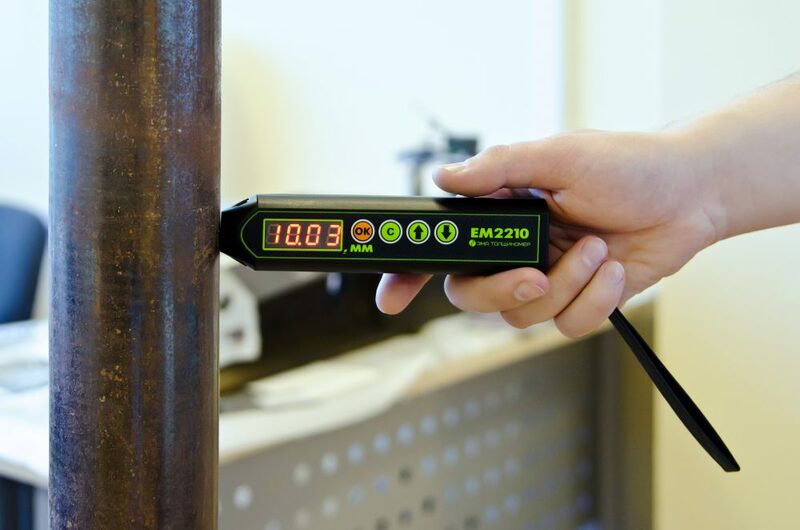 Special data processing algorithm used in the EM2210 allows measuring thickness correctly even in the presence of disruptors such as metal anisotropy, several reflectors and external noise. 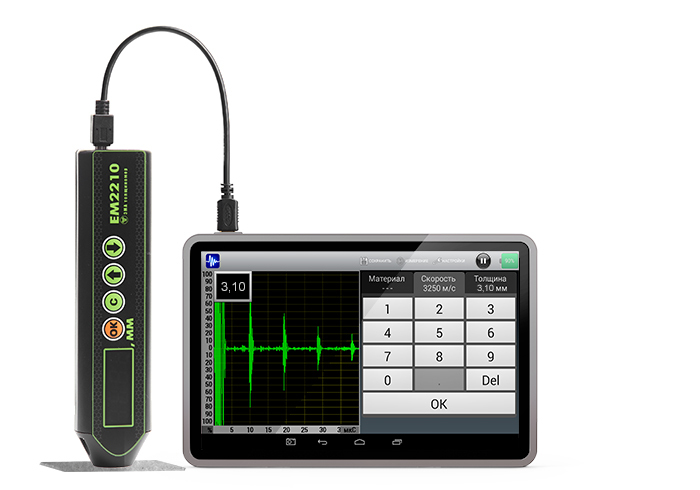 The algorithm designed by our specialists helps to reduce influence of human factor and simplify the device interface. 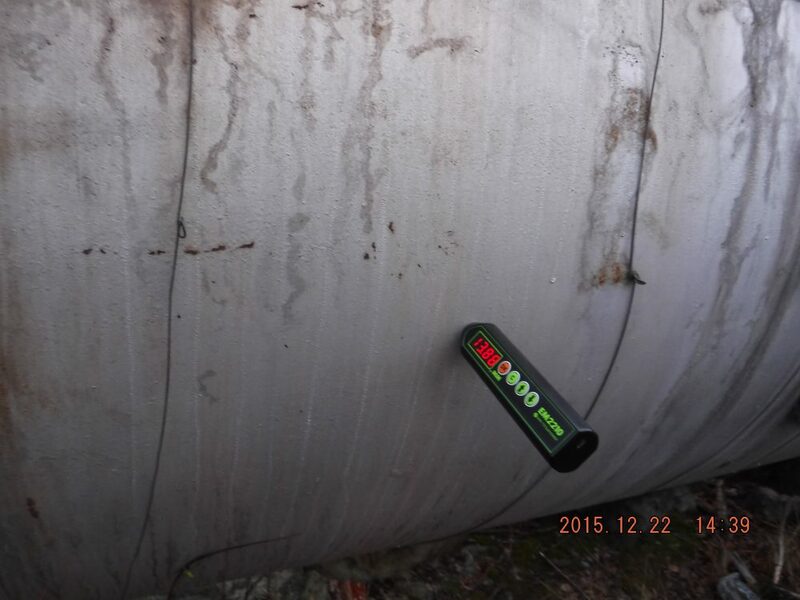 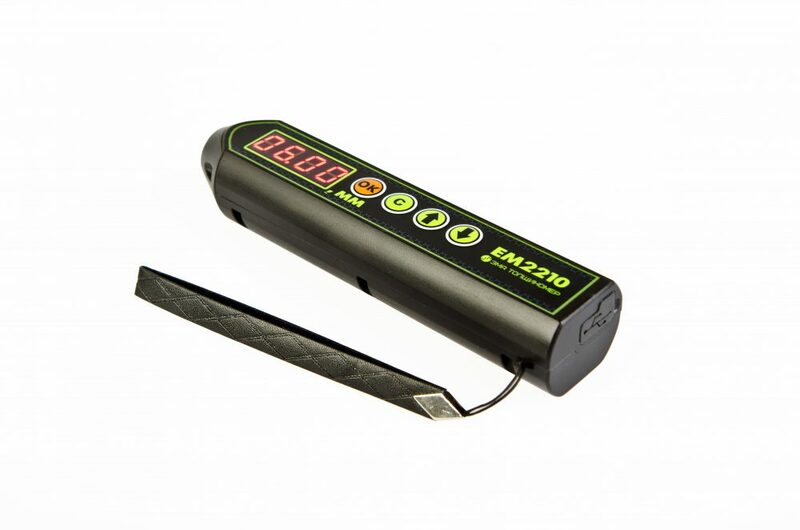 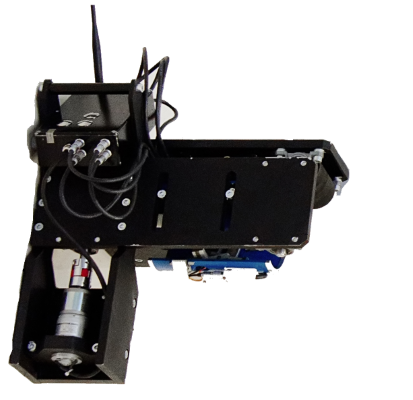 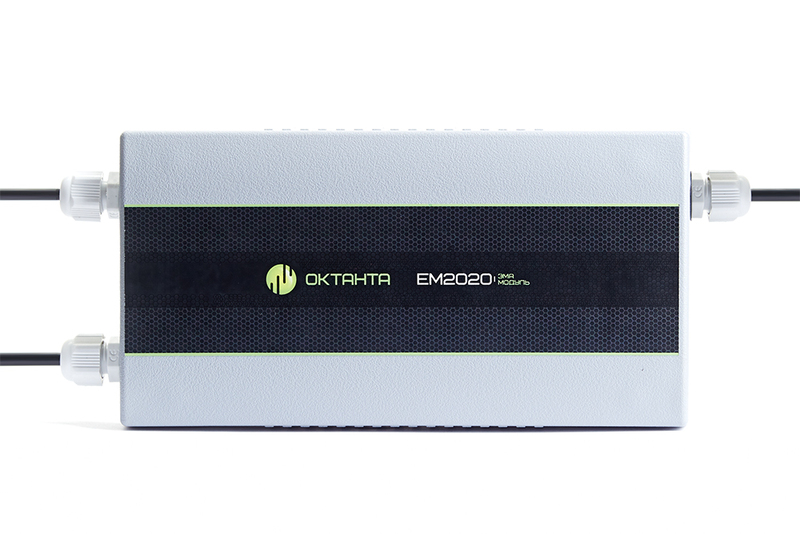 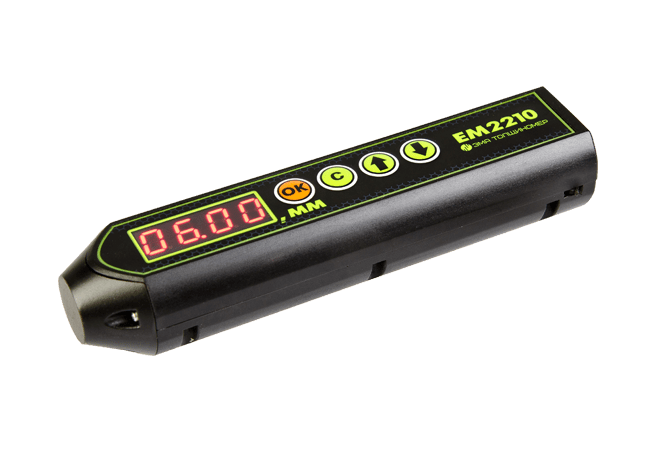 Connected with a tablet, smartphone or other devices based on Android OS, the EM2210 becomes an advanced flaw detector that allows users to display and save A-scan and B-scan, operate with gates, chose thickness measurement mode, signal processing parameters etc. 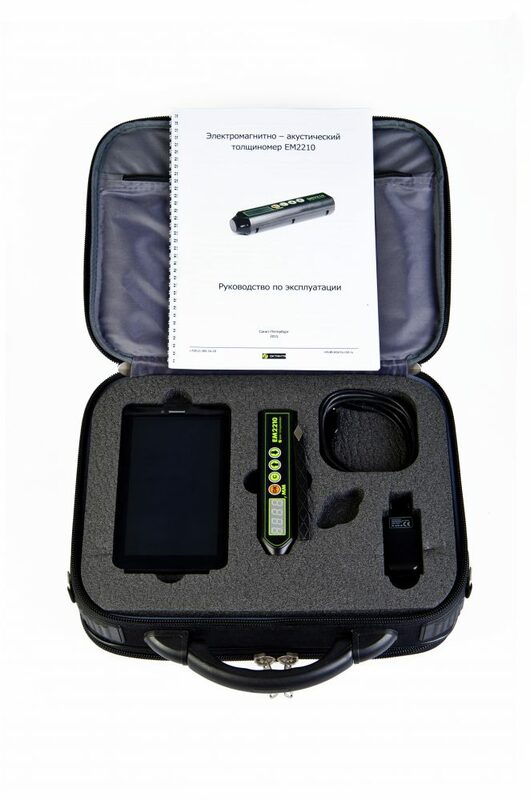 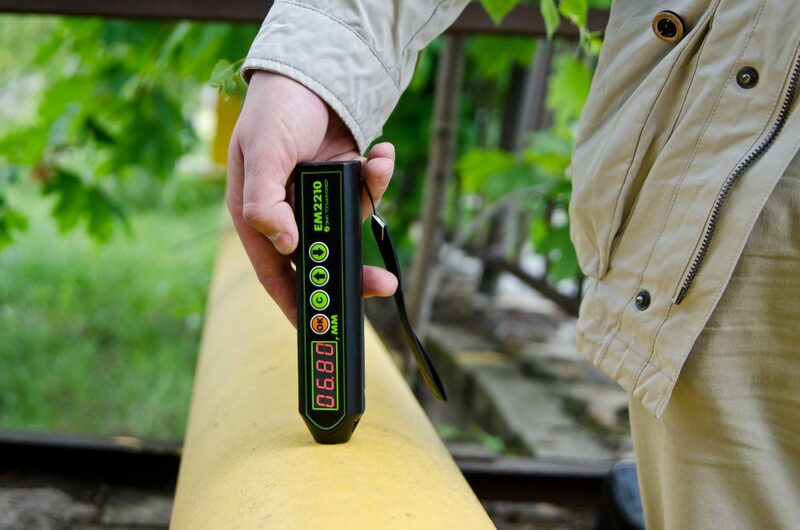 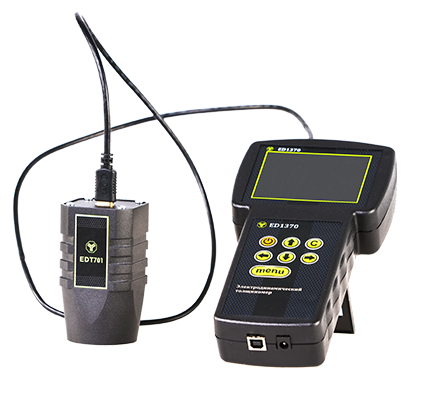 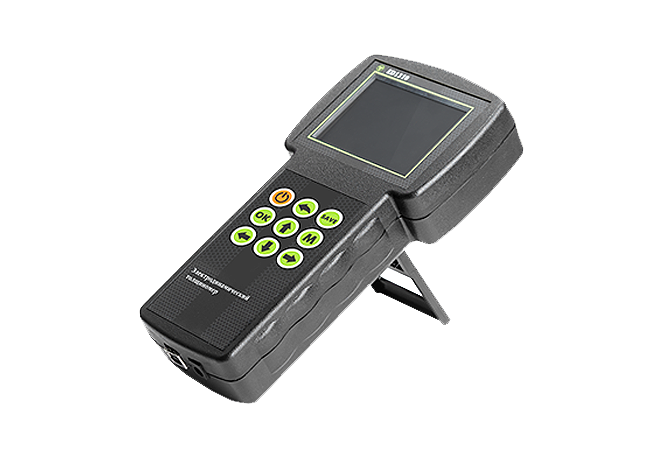 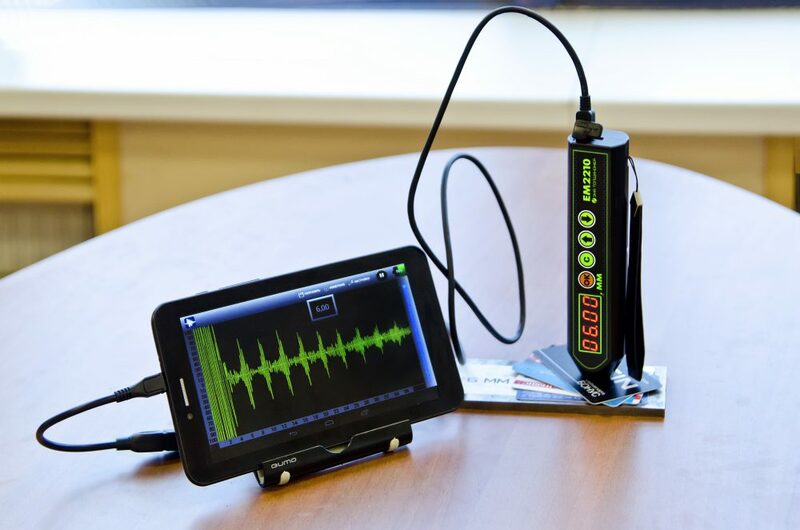 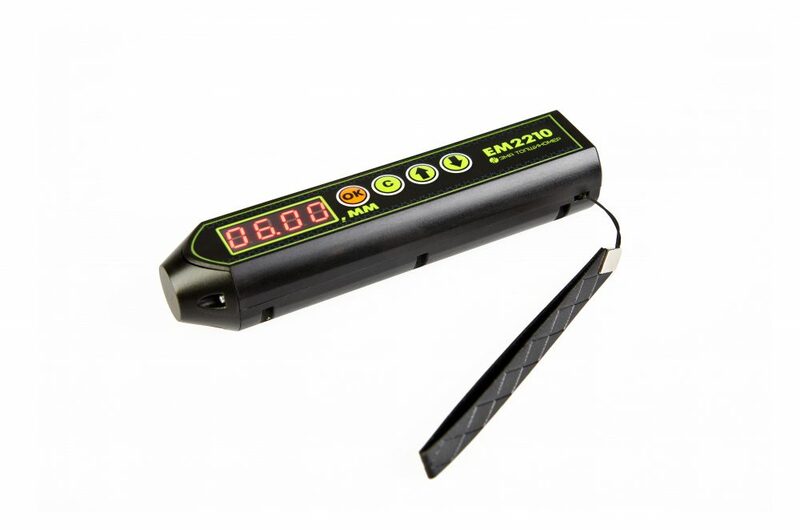 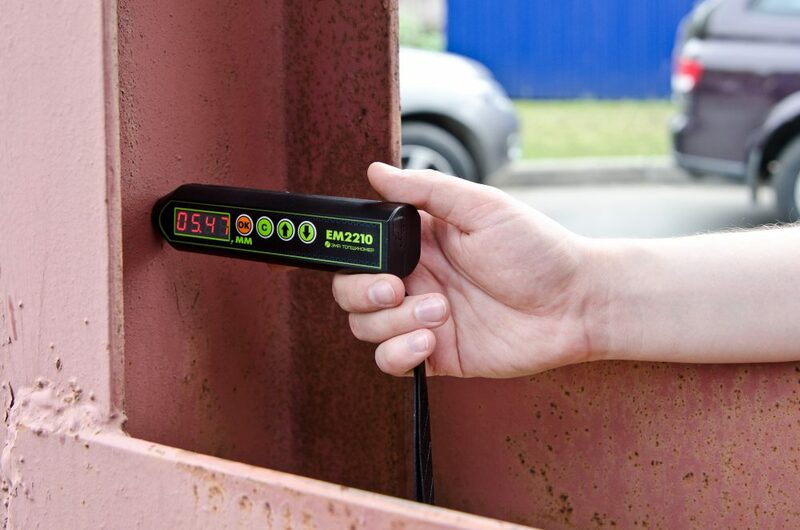 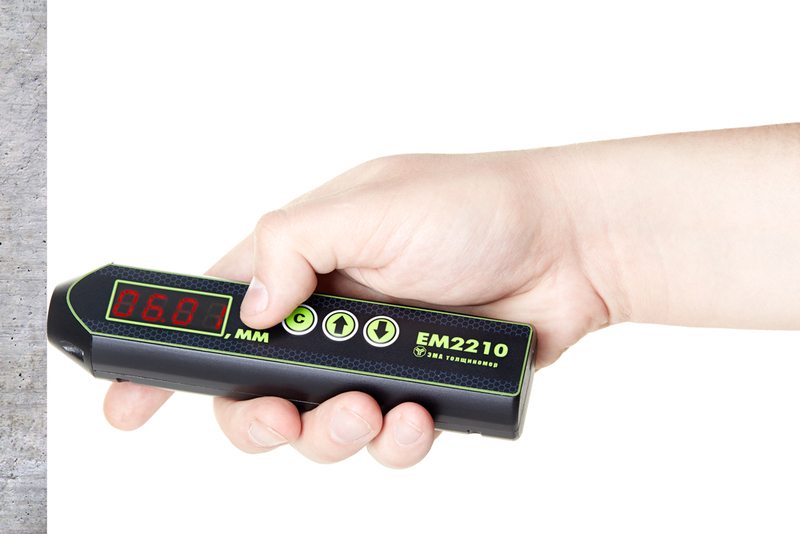 If connected with tablet, smartphone or any other Android device, thickness meter EM2210 can operate as a modern non-destructive testing unit, suitable for A-scan and B-scan display and saving, also with opportunity to work with strobes, chose thickness measure mode, signal processing parameters etc.